Although not necessarily the first place on a traveler?s list of destinations to visit in India, Bangalore is a real gem of a city. Known as? India?s Garden City?, at second glance there are many reasons to travel to Bangalore and with cheap airfares to Bangalore available from the UK and direct flights from London to Bangalore, it is easier than ever to discover this intriguing destination. Another of the city?s claims to fame is its high-tech industry. It is recognized by many as the ?call centre capital of the world? but with our cheap flights to Bangalore you will soon discover that it has far more to offer than just this! From the imposing granite faade of the ?Vidhana Soudha? - the legislative house of the State of Karnataka to the ultra-modern ?gilded lily? design of the Vikasa Soudha and temples galore (excuse the pun), there is plenty to see and do in this most absorbing of cities. With the opening of the new Bangalore International Airport in May 2008, capacity has greatly increased, finally making bargain flights to Bangalore a reality. The growth of this economically powerful city has meant that it is fast becoming another gateway to the sub-continent and cheap airfares to Bangalore are available from an increasing number of destinations. 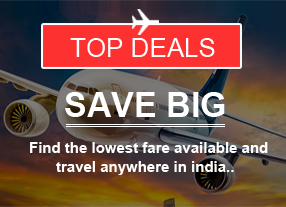 With tickets to India it is simple to book your cheap flights to Bangalore. Just enter your dates and requirements and your budget flights to Bangalore are just a few clicks away!